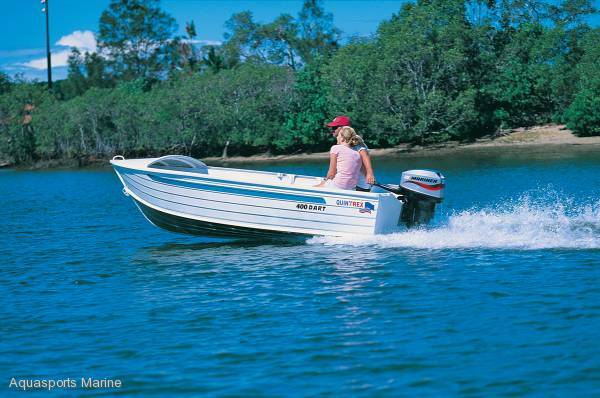 Quintrex 400 Dart dinghy provides excellent stability when fishing or underway. 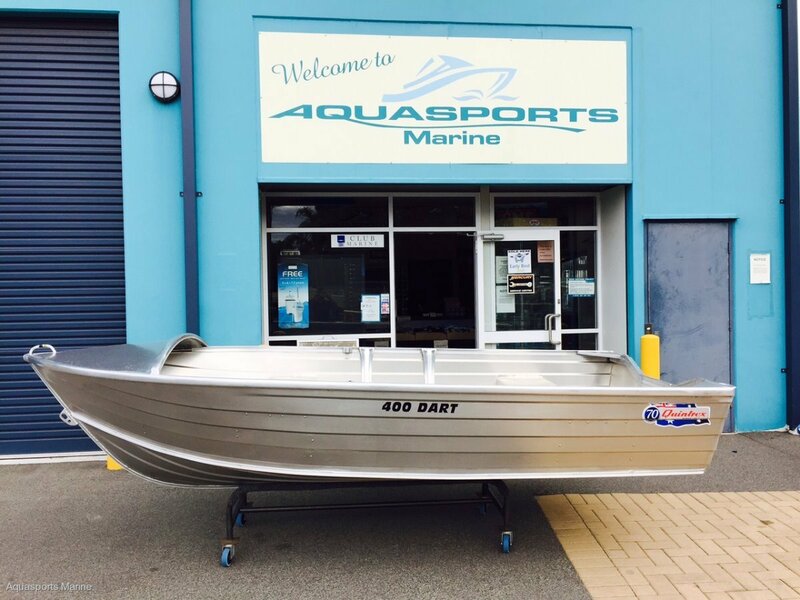 Rated to a 20hp and built with 1.60mm top and bottom sides, this is a structurally strong boat. 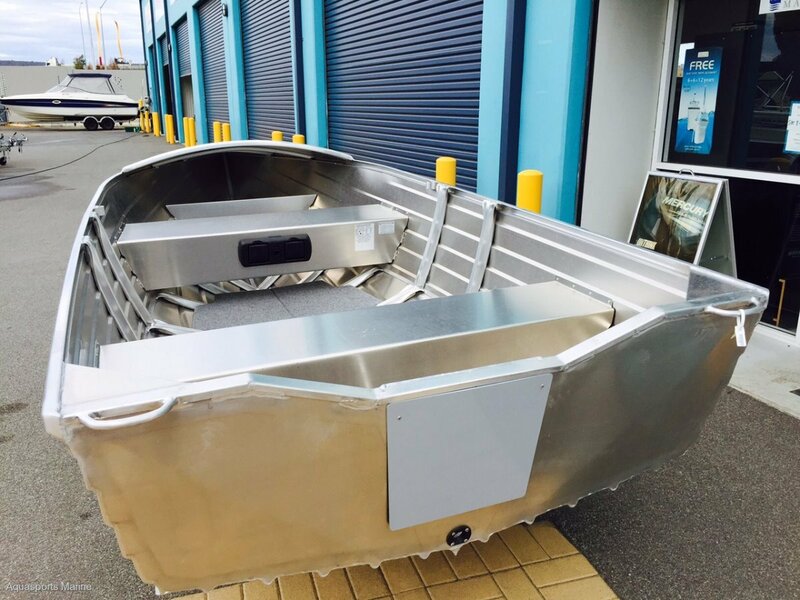 This is the largest in the Dart range with a 1.69m beam, 30hp maximum rating and seat bench flotation, glove box with drink holders and transom handles coming standard, it's an affordable package for all. 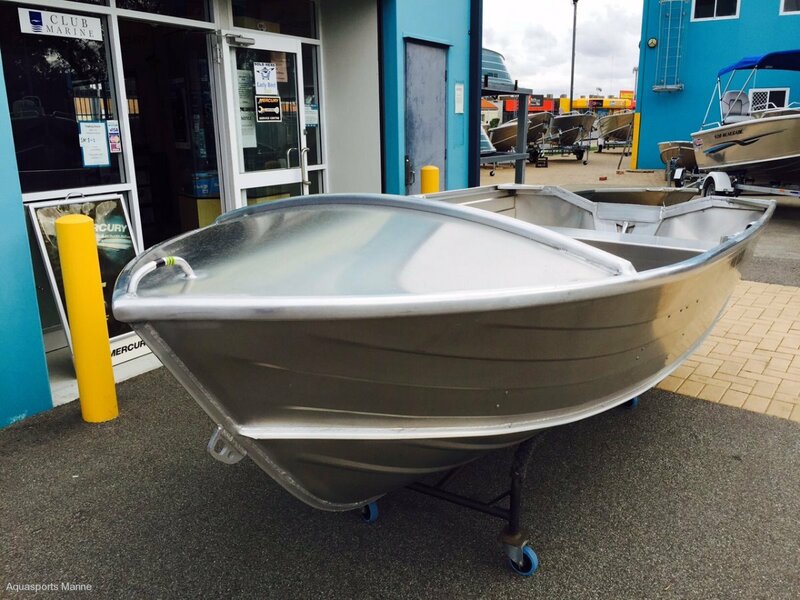 Quintrex 400 Dart Dinghy sold as Hull only or package one up with the world's most popular outboard - Mercury.